3015 S. Valley View Blvd. 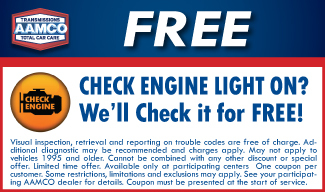 What makes a reliable auto repair shop? Advanced diagnostic and repair equipment? Accurate repair quotes? Comprehensive coverage? Or simple experience and integrity? Here at AAMCO Transmissions and Total Car Care of Las Vegas , we've covered all of these qualities and more for over 50 years. With nationwide warranty coverage and advanced proprietary resources that aren't available at any other independent shop or auto repair chain, it's easy to see why our name has been synonymous with high-quality auto care nationwide for over 50 years. 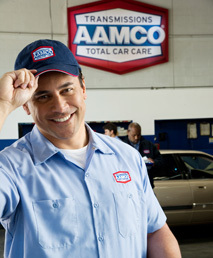 Our team of AAMCO certified technicians can provide regular maintenance or major repair services to any make and model. And since all of our services come with guaranteed warranty coverage, there's no need to worry about encountering the same problems after you leave. Need more protection? Take a look at our wide selection of extended coverage plans, which can protect your automatic transmission up to the life of your vehicle! We can also help local and regional businesses control their overhead costs on factory-scheduled maintenance for fleet vehicles. Models we service include Grumman trucks, cutaways, box vans, stakebeds, and more. Contact us today for more information about our available fleet service contracts.